Announced at this year's CES, the Panasonic Lumix DMC-TZ80 (also known as the Panasonic Lumix DMC-ZS60) features a 30x optical zoom (24-720mm equivalent) and is a replacement for last year's TZ70. It sits below the new TZ100 - last year's TZ57 has been discontinued and will not be replaced. The Panasonic Lumix DMC-TZ80 has an 18 million pixel sensor, an increase from the 12.1 million pixel sensor of the TZ70. Other new features include a new Venus engine, Light Speed AF (autofocus) with DFD (Depth from Defocus) technology and 4K photo functions. The screen is the same size and resolution (1040k-dot), but it is now touch sensitive. Battery life has been very slightly improved, while the zoom range stays the same. Another feature which has been carried over from the Panasonic Lumix DMC-TZ80's predecessor include the 0.2-inch 1160k-dot LVF (Live Viewfinder) with eye sensor. The TZ80 can shoot in raw format and includes manual and semi-automatic exposure modes. The Panasonic Lumix DMC-TZ80 / ZS60 is available in silver or black for £349.99 / $399.99. 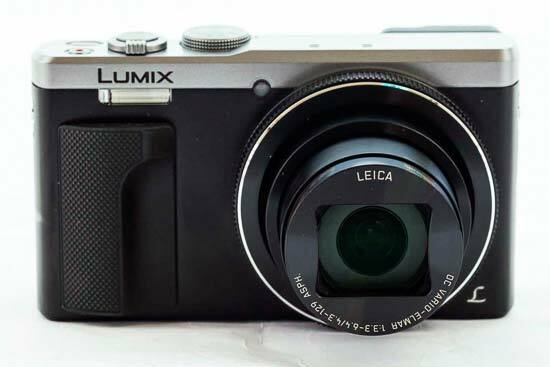 The Panasonic Lumix DMC-TZ80 is very similar in appearance to the TZ70, with just a couple of mm added to the dimensions of the camera. Considering it has both a 30x optical zoom, it's impressively sleek. It's possible to fit the camera into all but the tightest of jeans pockets. Available in two colours, we were supplied with the black and silver version, which gives the camera a classic / retro look. 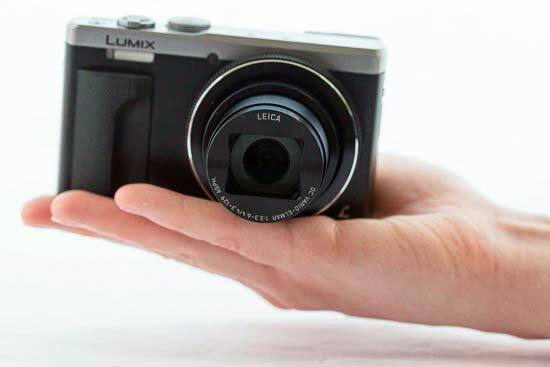 On the front of the Panasonic Lumix DMC-TZ80 is a small grip which helps to give the camera excellent purchase - it's joined on the back by a thumb rest which makes the camera feel comfortable in the hand. On the top of the camera is a dial for choosing the exposure mode of the camera. Here you'll find P/A/S/M modes, as well as automatic, creative, scene, panoramic and a slot for a custom group of settings. Also on top of the camera is the shutter release, which is surrounded by the zoom switch. Zooming the lens to its full length is smooth and fluid, stopping for a brief pause before entering the digital zoom (if you have it switched on, and you're not shooting in raw format). A video record button can be found just next to the shutter release. It's away from the rest of the buttons and is slightly recessed into the body of the camera, making it practically impossible to accidentally record a video when you don't want to. Around the Panasonic Lumix DMC-TZ80's lens is a control ring. By default it will control a certain function (i.e. aperture in aperture priority mode), but you can customise it to one of several other functions, if you prefer. In fact, the TZ80 is great if you like to customise your camera. On the back of the camera there are four physical function buttons, all of which can be customised, and there are a further five “virtual” function buttons which can be displayed on the touchscreen and customised to give you quick access to something. Also on the back of the Panasonic Lumix DMC-TZ80 is a scrolling dial, which again has a default function, but can also be customised to change something else if you prefer. There are also a number of directly accessed functions available from the four-way navigational pad. 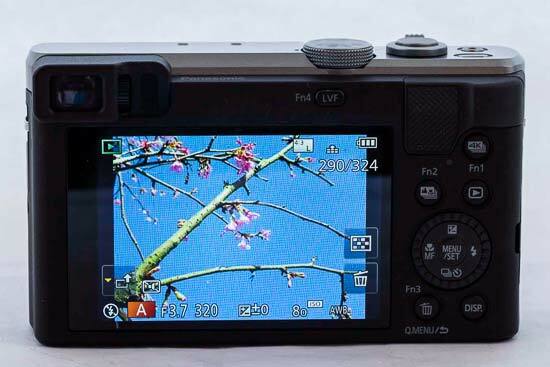 Up brings up the exposure compensation function, left is for changing focusing mode (switching on macro focusing), down is for self-timer and drive modes, while right is for accessing flash modes. By default, the Fn3 button is used to access the quick menu. This brings up a number of commonly used options - such as ISO and white balance. You can either touch the areas on screen to make changes to settings, or you can scroll through the various options using the physical buttons on the camera. It's a great way to make quick changes without having to delve into the more extensive main menu. There are four different AF Modes you can choose from; Face Detection, Tracking, 49-Area and 1-Area. If you select the 1-Area mode, you can then set the autofocus point simply by tapping an area on the screen. This is an improvement from the TZ70 which didn't feature a touch sensitive screen and required slower button pressing to move the autofocus point. You can also change the size of the AF point by using the scrolling dial on the rear of the camera, which is useful when you want to focus on a finer detail. A new addition for the Panasonic Lumix DMC-TZ80 is 4K photo modes, something which can be found on some of Panasonic's Lumix G compact system cameras (such as the GX8). As with those cameras, you can shoot at 30fps using 4K photo modes, and then pick the moment you need from the resulting footage - all within the camera. This is very helpful when you're photographing something fast moving, such as sports, or children. There's also a new mode called “Post Focus”. Basically, this shoots a number of photos all with different focus points - you can then choose the focus point you need post-capture. While this is quite a fun and nifty feature, I'm not entirely sure how often you'd use it. Both you and the subject need to be still, so it's uses are a little limited for now. By default the Fn2 button is set to switch Post Focus on and off. The Panasonic Lumix DMC-TZ80's viewfinder is small, but it's useful if there's very bright sunlight - or if you just prefer to compose your images through a viewfinder. There's a sensor on the viewfinder itself which switches it on - and the screen off - automatically as the camera is lifted to your eye. This makes for a nice seamless transition - but you can switch this off if you need to - for instance if you're shooting from the hip. Unlike the TZ57, the TZ80's screen is fixed, which is less useful for selfies and group portraits, but it helps to keep the camera slim. Inbuilt Wi-Fi can be used to connect the camera to your smartphone or tablet, meaning you can remotely control it, or send photos you've already taken across to be shared on social networks and the like. A free app can be downloaded for iOS and Android, and the good news is that it gives you lots of control over the camera itself. While some apps only allow you to trigger the shutter release, from this you can do pretty much everything - alter aperture, ISO, switch on the flash, change autofocus point - and much more besides. It's also quick to transfer your existing photos across too. 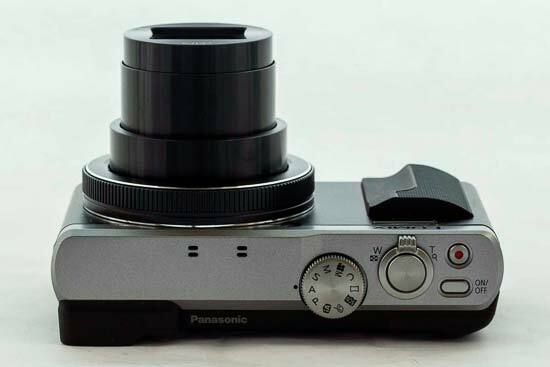 There's quite a few creative options afford to you when using the Panasonic Lumix DMC-TZ80. You can switch to the dedicated creative mode, but you can also use one of the several inbuilt filters when shooting in one of the manual or semi-automatic modes. The bonus here being that shooting in raw format gives you a “clean” version of the image should you need it down the line. You can also the less dramatic Picture Modes, such as Vivid and Monochrome, to give your shots a different look. There's also a panorama mode, which enables you to create super wide angle shots by moving the camera across the view that you're trying to capture. The introduction of DFD technology is designed to speed up focusing, and it seems to work well. Focusing speeds are very quick in all but the very darkest of conditions, and it's rare for a false confirmation of focus to be displayed. The new Venus engine also seems to facilitate very quick operational times, with a very short shot-to-shot time. Although the Panasonic Lumix DMC-TZ80 may be aimed at enthusiast photographers looking for something to take on their travels - the addition of raw format shooting and advanced shooting modes suggests that - there is also a good automatic option, which does a good job of accurately assessing the scene in front of it to set the most appropriate settings. That makes it also good for beginners who are mostly interested in the 30x optical zoom available.